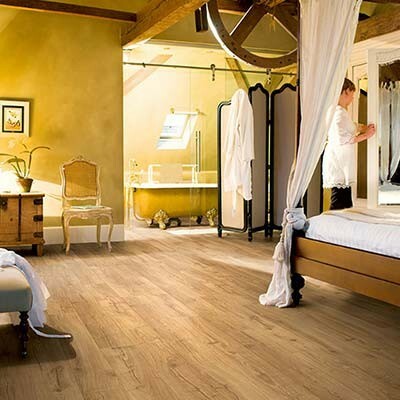 12mm laminate flooring is one of the thickest types of laminate flooring that we sell. It is ideal for both domestic and commercial use. 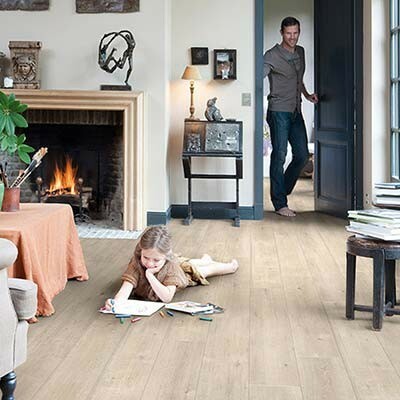 The flooring is designed and made in the same way as any other Quick-Step laminate flooring. It has a protective surface layer, which is transparent. Underneath is the design layer which is a high resolution photograph of either wood or tiles. Then the base is a combination of a core of high density fibreboard to provide strength and stability and a balancing layer to help with installation. The total thickness of the flooring is 12mm, and once installed the only part you will see is the design layer of the flooring. 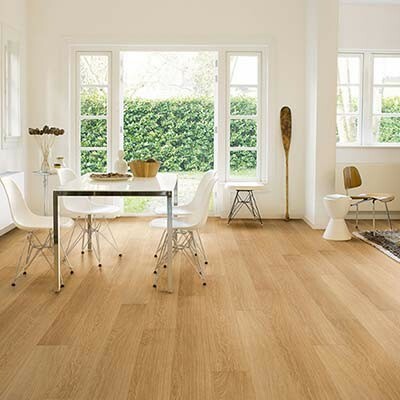 Why should I choose 12mm thick laminate flooring? 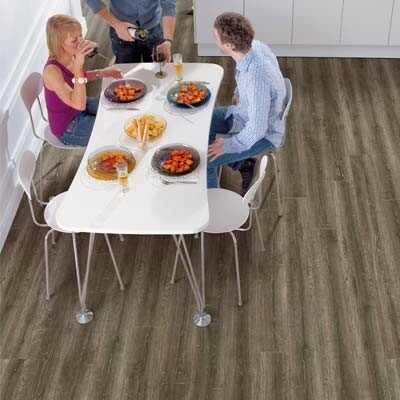 12mm thick laminate is becoming a popular choice with both homeowners and commercial developers. 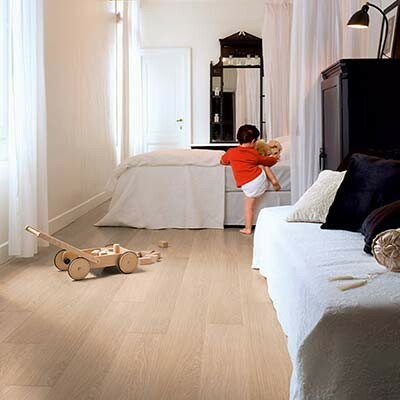 It is a robust and durable floor covering. The protective surface layer has built in protection against stains, burns, impact and scratches, making it a great choice for busy areas. 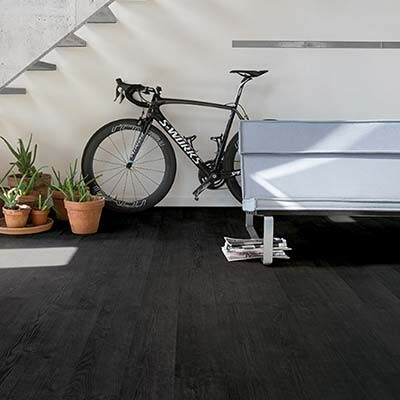 All of Quick-Steps 12mm laminate flooring is water resistant, but if you are thinking about using the flooring in a bathroom or utility room (or another area with excess water) then be sure to choose one the laminate floors from the waterproof range. 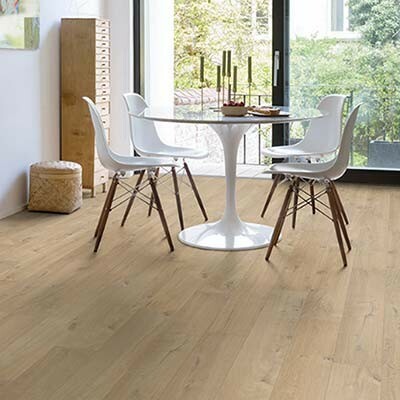 This particular type of laminate flooring has a click fitting system, which is easy to use and provides a beautiful gapless floor. 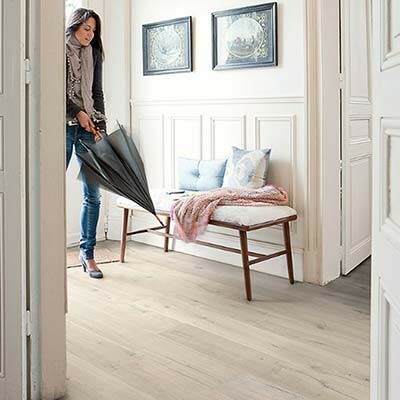 All Quick-Step laminate flooring can be used with underfloor heating. 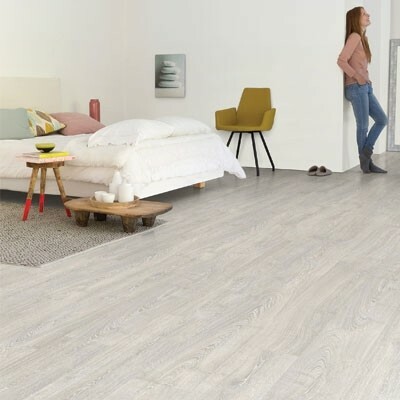 Within the range of 12mm laminate flooring you are able to find a choice of different colours, styles and patterns of flooring. We are sure you will find something to meet your needs. How do I maintain 12.5mm laminate hardwood flooring? For more information and tips about looking after your laminate floor, read our Flooring Care and Maintenance Guide. 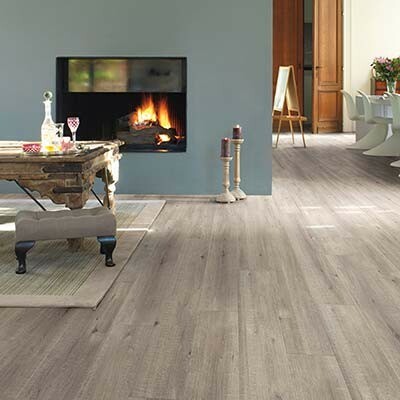 Yes, we stock a wide range of Quick-Step laminate flooring in all different thicknesses. 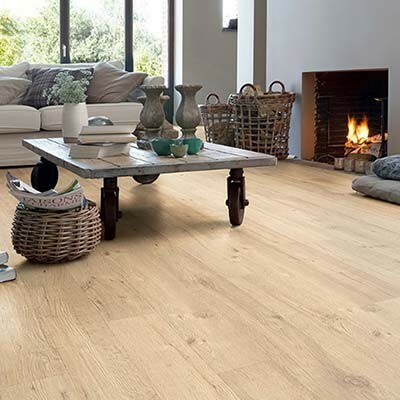 However, if you are looking for an alternative to laminate flooring, have a look at our exciting ranges of Solid Wood Flooring, Engineered Wood Flooring or Vinyl Flooring. 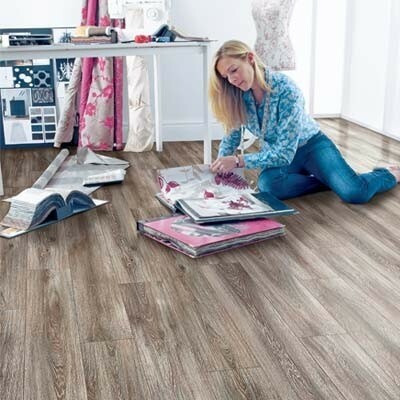 For further help, advice and general information about any of our laminate floors, hardwood floors or flooring related accessories, please contact us or come into our showroom where we will be more than happy to help.